You own your data and control your privacy. Get quotes without handing over contact info. 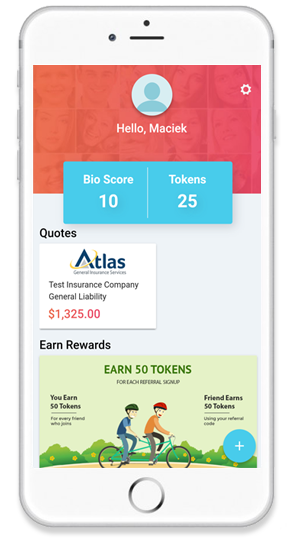 Agents and carriers pay you for accurate answers! Insurance discounts or use anywhere VISA is accepted. 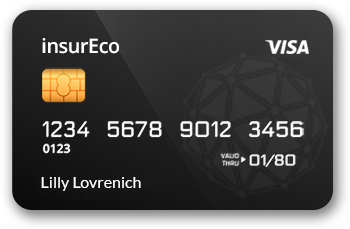 The future of banking and insurance. We will be last insurance app you will ever fill out. 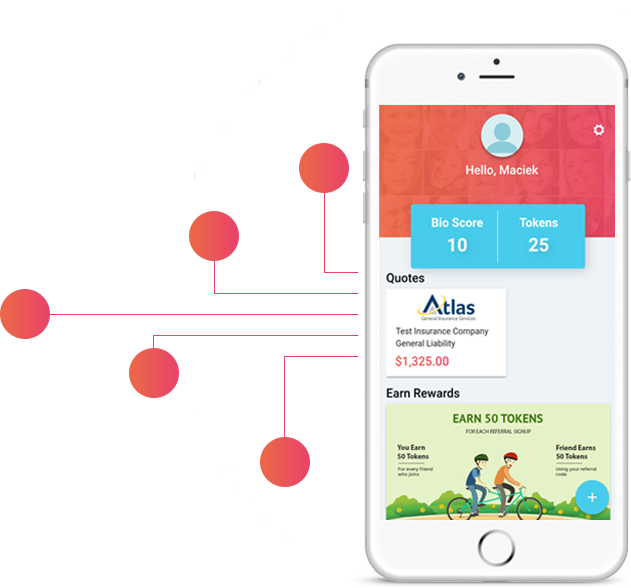 Once your data is in the ecosystem, you can start earning your rewards. All retail agents are trained on selling you coverage not price. Commercial or Personal lines seamlessly coexist. You will never be asked the same question twice. All messages are directed through our secure application. Our secure and immutable private chain is patent pending. Sharing your insBio with your agent is quick and easy. I saved on my insurance, and never got one sales call. Wow! I don't understand how they do it, but this sure feels like the future. Cheaper than my bank and faster than my last insurance. I didn't have an agent, but the app selected one for me. They were great and showed me all the fees they WEREN'T charging. Why did it take so long for someone to get it right!? Finally an insurance that understands what the future looks like. Our support team is here for you via chat, phone, or email to assist you as needed. Can I use insBio if I have an existing agent? YES! We work with every agent and carrier in existence, even if they don't know us yet. Just use our agent invition to get them signed up and they will thank you for it! Is insBio an insurance company? No. We provide the assembly line for forward thinking insurers to provide a safe way to distribute their products and the savings is passed on to you! Since evey form is built right into our system, insurers can get the data they need without needing your contact information. Yes. Our secure system will keep your quotes and policies at your fingertips. You will be able to email a link to your policy to anyone needing verification. 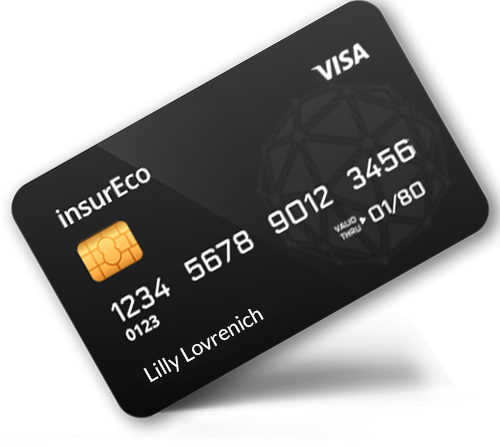 Once you add your information we will give you our insurEco coins to use as payment on your insurance policy or anywhere VISA is accepted. Congratulations, your message has been sent.